Description: The Political Map of Japan showing Japan Prefecture, cities, capital, international and Prefecture boundaries. 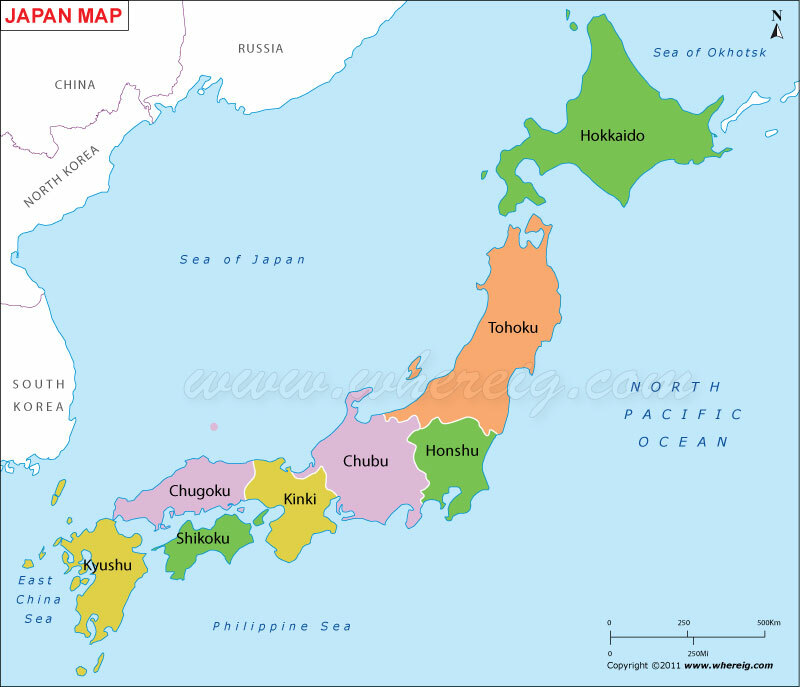 Japan is an island nation in Eastern Asia. Located in the Pacific Ocean, Japan is surrounded by Sea of Japan, China, North Korea, South Korea, Russia, Sea of Okhotsk, East China Sea and Taiwan.